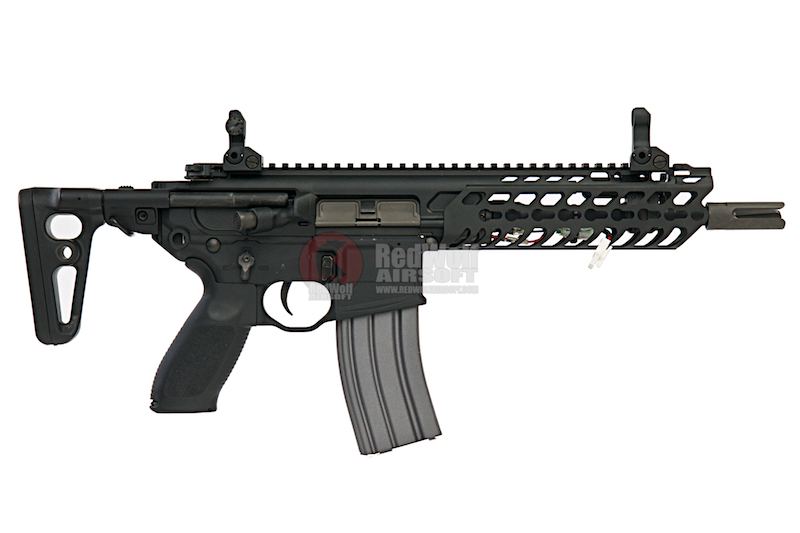 Fully licensed Cybergun SIG SAUER MCX AEG. Front wired with battery plug outside of rail. 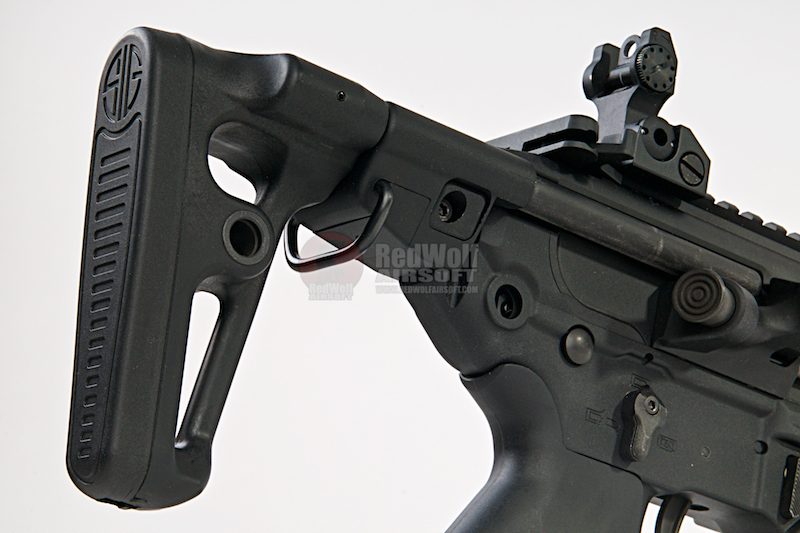 Full metal apart from stock & grip. 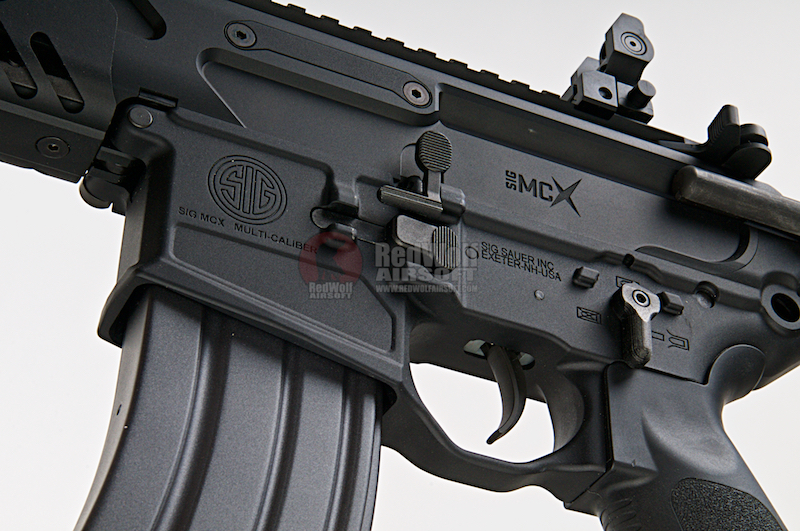 Cybergun's new fully licensed MCX AEG is not something to take lightly. Cybergun have upped their game as handling this for the first time will make you feel like you have a sturdy airsoft gun in your hands. The extendable stock and flip up front and rear sights are extremities you won't have to worry about due to the sheer sturdiness of the gun. 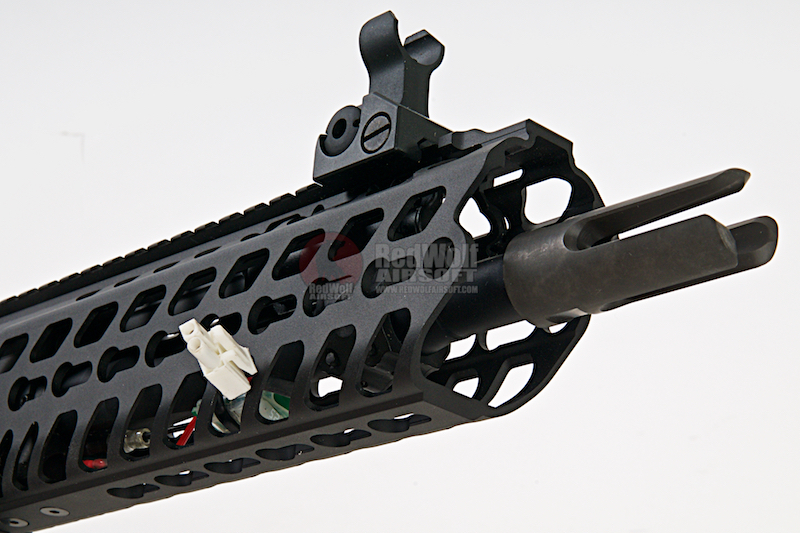 The keymod rail system has ample room for plenty of extra accessories if you decide to add them. It is currently front wired with plenty of room within the rail system. 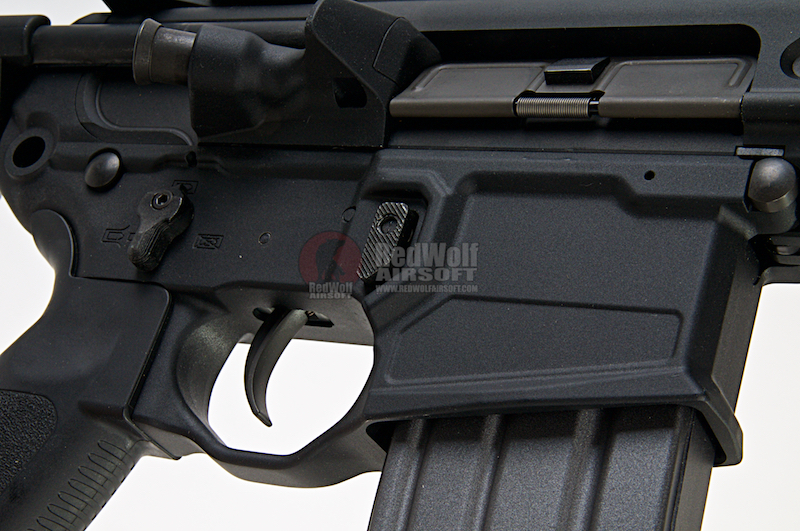 The MCX comes with 3 extra springs, the M100, M110 and M120 and the quick change spring system allows the user to switch the spring out with ease and efficiency. 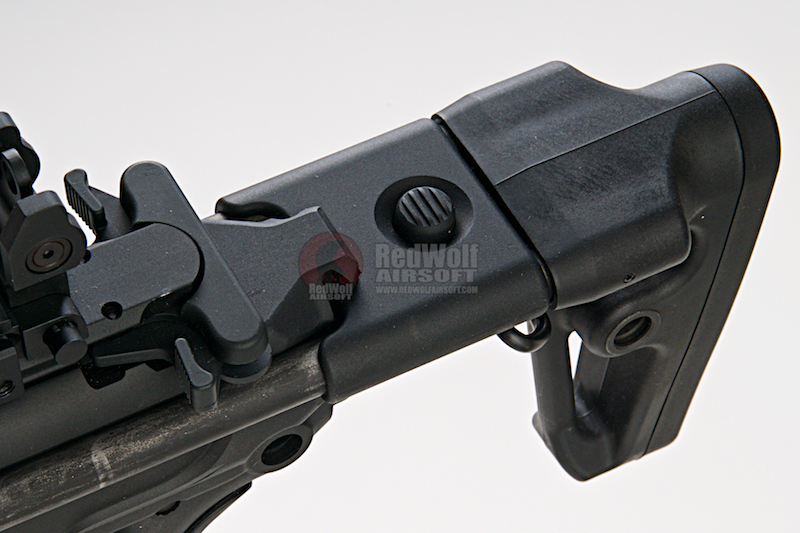 The trigger response on this particular AEG is as fast a what you would get on many upgraded AEGs with a MOSFET as its own FET system is up there with ASG and Krytec. 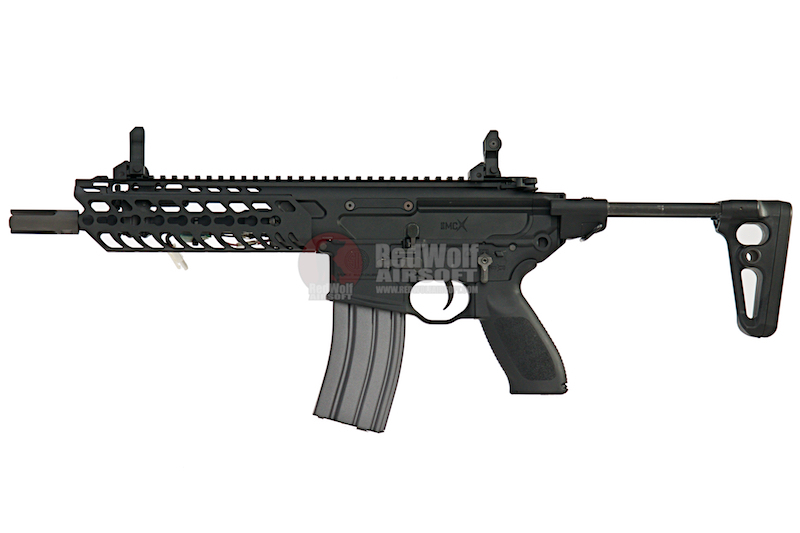 x1 Cybergun SIG SAUER MCX AEG.